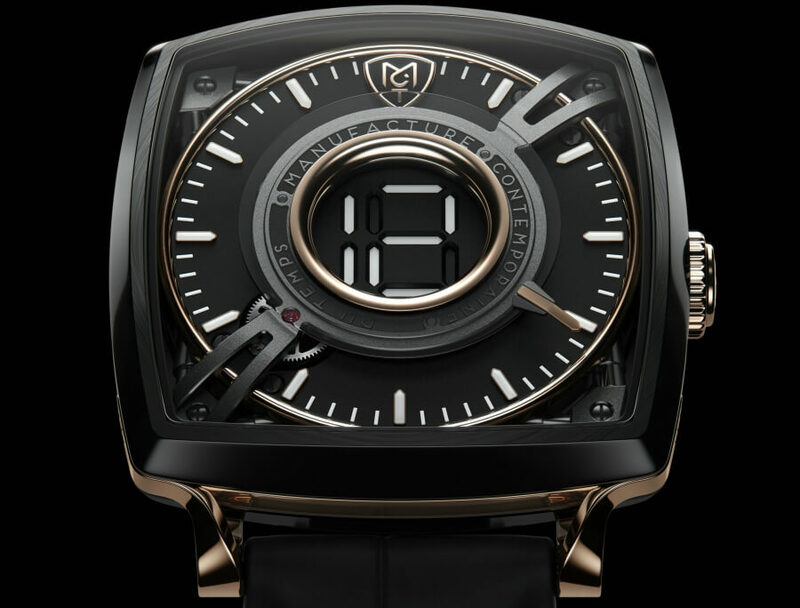 To mark its 10th anniversary, MCT presents the Dodekal the first mechanical watch featuring an innovative digital hours display in the centre of the dial. Drawing inspiration from 1970s el ectronic watches, the Dodekal One is driven by a new Manufacture movement, Calibre D1. 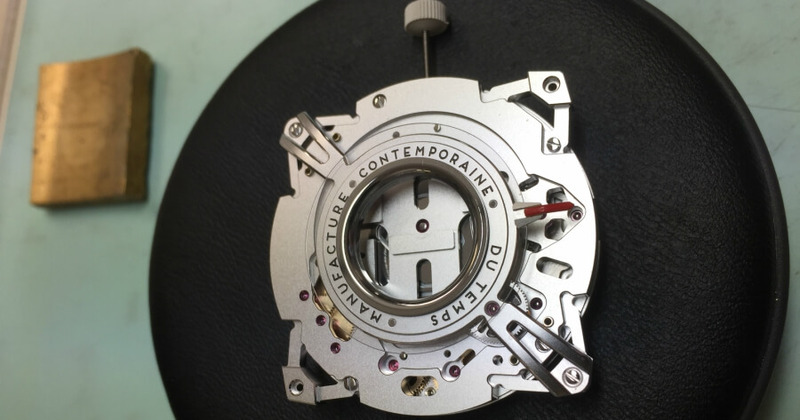 The engineers of MCT Watches have used a complex set of cams and carriages to display the hours in the forms of segments in the dial centre, placing this model in a whole new dimension. The hours transition is effected by the translational motion of the segments over 2.5 seconds, offering an original and magical sight, while the minutes are displayed by a flying hand. 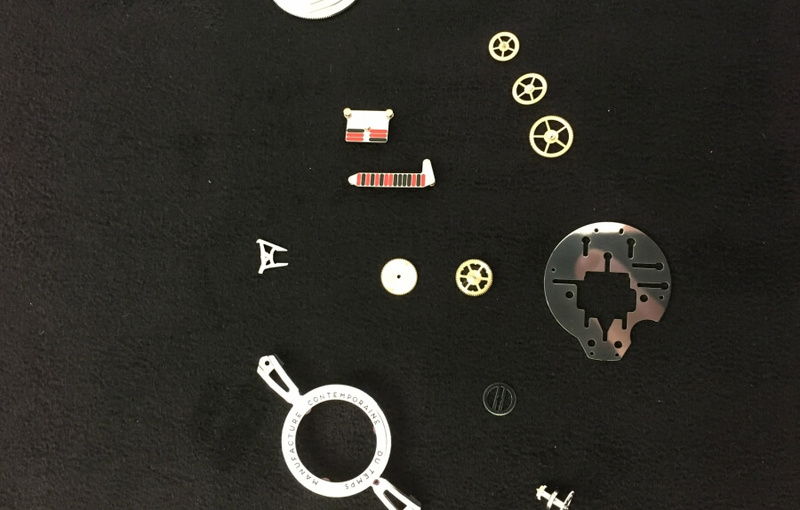 A regulating organ serves to enable optimal management of the energy required for these animations, while ensuring a 50 hour power reserve for the self-winding movement, driven by a gold micro-rotor. It runs at 18,000 A/h (2.5Hz). The Dodekal One debuts an elegant cushion-shaped case measuring 43 mm along its side and distinguished by finely crafted lugs shaped like twisted leaves. 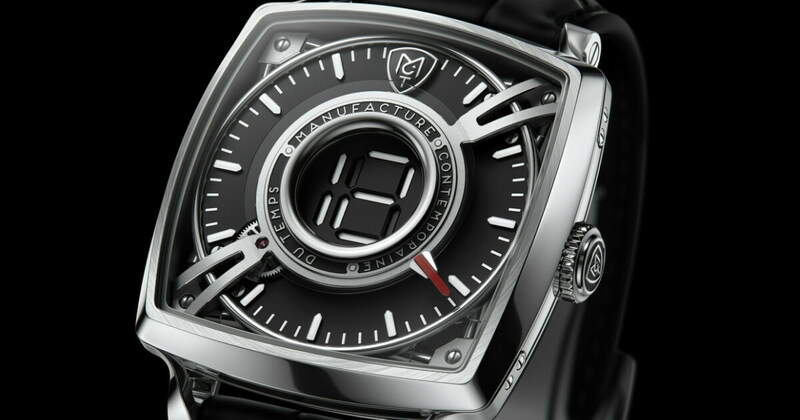 The watch has a water resistance of 30 metres/3ATM. With the Dodekal One, MCT Watches is continuing its approach of constantly reinventing the display of time and once again proves that there are no limits to performance and mechanical creativity in the field of watchmaking. Available in titanium or titanium black DLC & 5N pink gold, the Dodekal is issued in a 25-piece limited series of each version.